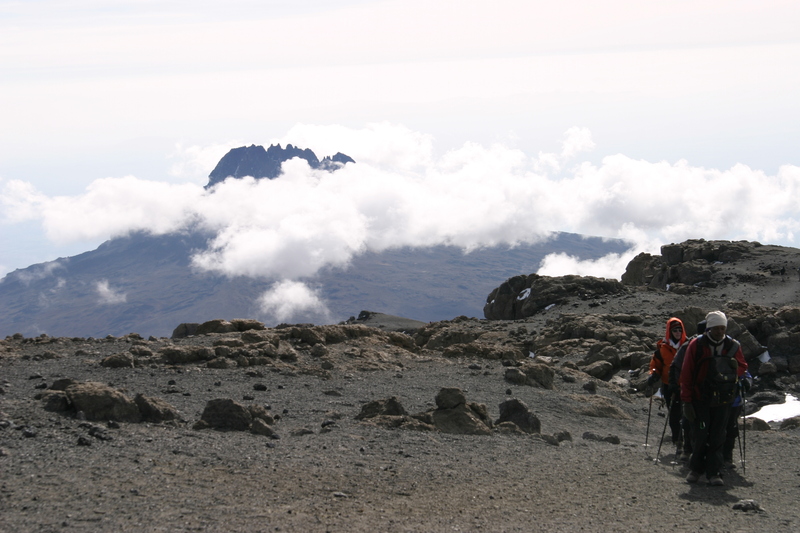 Poa Kichizi Kama Ndizi climbs to the top of Kilimanjaro! Hey everyone, it’s Poa Kichizi Kama Ndizi here on Kilimanjaro. It’s the 22nd of July and we are all happily ensconced in our last Camp on the mountain, Millennium Camp at 12,200 feet. We had a big summit climb last night; eight out of ten of our climbers were able to make it to the top! And today we descended down to Millennium at 12,2 and we’ve been resting. We just had a nice dinner and we are going to bed because we are tuckered out. Tomorrow will be our last day on the mountain. We’ll head down to the Mweke Gate at about 6,000 feet. We’ve got to drop about 6,200 on our descent through the moorlands and the heather zone, and on down through the beautiful forest zone. We’ll give you one more shout out from Arusha. Everyone sends their best home.